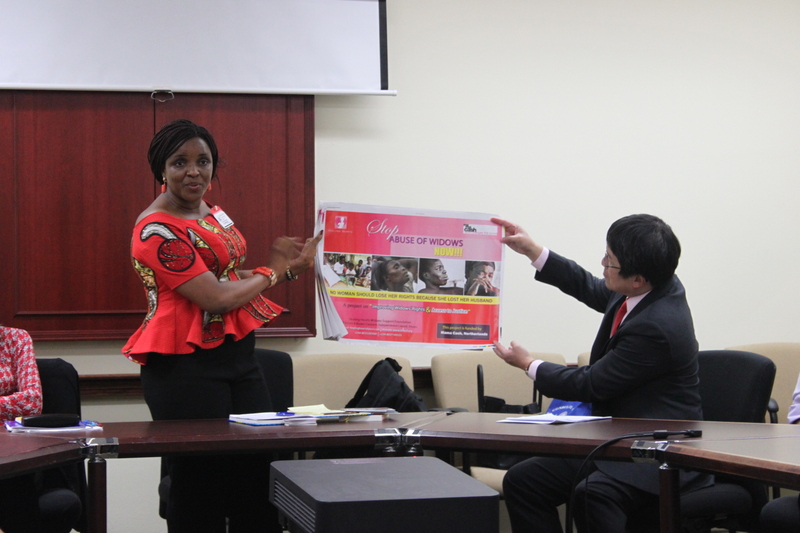 IVLP Gold Star Alumna Chigozie Udemezue giving a presentation at the Department of State. The sign says "Stop Abuse of Widows, NOW!!!" 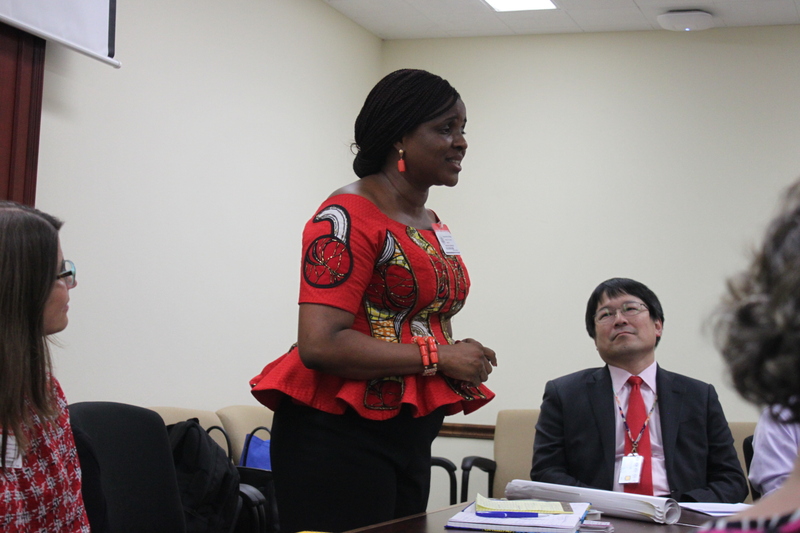 In July of 2017, Meridian welcomed another Gold Star alumna, Ms. Chigozie "Gozie" Udemezue of Nigeria, for a two week program that followed up her first International Visitor Leadership Program (IVLP) in 2006, "Grassroots Activism." Since its conclusion, Gozie, a practicing social justice lawyer, founded a leadership club for girls with seed money from her then International Visitor Liaison, Ms. Cynthia Willson, with hopes of building girls' leadership skills in rural high schools. She also established the Martin Luther King, Jr. Club for schools in Enugu, which engages other exchange alumni in spreading the message of the civil rights icon. To further build on her experiences gained from the IVLP, Gozie went on to found in 2008 the Healing Hearts Widows Support Foundation. Along with a team of more than 100 individuals, financial partners, and volunteers, the Foundation has been able to support more than 5,000 widows with medical outreach, pro-bono legal aid, and economic empowerment among many other services. Of particular note under this Foundation is the "Adopt a Widow" program, which has led to the adoption of 55 widows and their kids by individuals and families based in Nigeria, Kenya, the United States, and Canada. 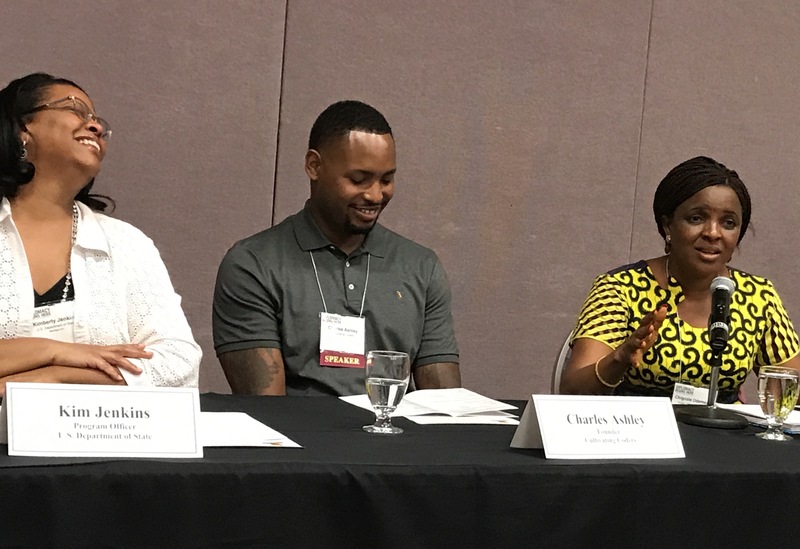 Having returned to the United States as a Gold Star alumna, Gozie worked to rekindle relationships and begin new ones with resources in Washington, DC; Albuquerque, New Mexico; Chicago, Illinois; and Atlanta, Georgia. 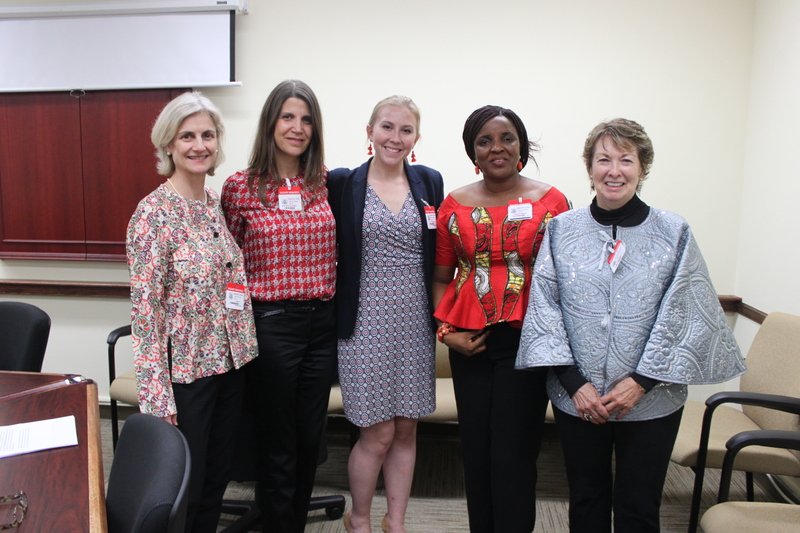 While in Washington, Ms. Udemezue met with representatives from the Hot Mommas Project at The George Washington University School of Business; Mr. Frank Harris, Director of State Government Affairs for Mothers Against Drunk Driving; and a representative from Vital Voices Global Partnership, a non-governmental organization that identifies, trains, and empowers emerging women and social entrepreneurs around the globe. Before traveling to Albuquerque, Gozie had an opportunity to speak about the impact of her first IVLP on her career alongside fellow IVLP Gold Star Alumna Geraldine Mylnarz of Chile. In Albuquerque, both Gozie and Geraldine were welcomed at the Global Ties U.S.-sponsored Diplomacy Begins Here Summit. There they spoke again about their experiences as participants and how they have managed to implement the lessons that they had learned in building their own networks and organizations. Gozie also had the opportunity to meet with the New Mexico Small Business Economic Development Center, a small non-profit organization that provides business consulting, workshops, and training for new start-ups before travelling to her next city-stop. 2:40 PM - Aug 8, 2017"
Gozie's program in Chicago was well organized by the Global Ties U.S. community based member (CBM), WorldChicago. The CBM organized appointments with Life Span Center for Legal Services and Advocacy; Americans United Against Destructive Driving; and the Chicago Lawyers' Committee for Civil Rights. Gozie was also able to engage with Action Now Institute, a non-profit organization that organizes the local community to take part in campaigns for quality education, foreclosure prevention, and raising the minimum wage in Illinois; and Community Organizing and Family Issues, a community-based organizing that campaigns on behalf of the local community to improve life opportunities for children and families. 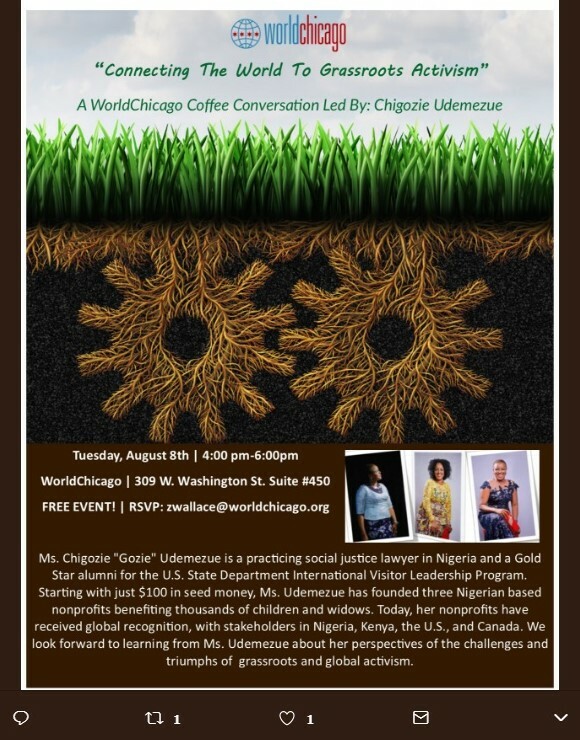 Before departing for Atlanta, Gozie served as a featured speaker on "Connecting the World to Grassroots Activism" at WorldChicago's Coffee Conversation. Thanks to the CBM in Atlanta, the Georgia Council for International Visitors, Gozie had the opportunity to visit Ebenezer Baptist Church where both Martin Luther King Jr. and his father were preachers. In addition, Gozie was able to engage with Cool Girls, Inc., a community-based organization that supports low-income women in an attempt to "break the cycle of poverty" in the area; the Coretta Scott King Young Women's Leadership Academy, a school that teaches leadership skills to young female middle and high school students; and Communities in Schools, the nation's largest dropout prevention organization. 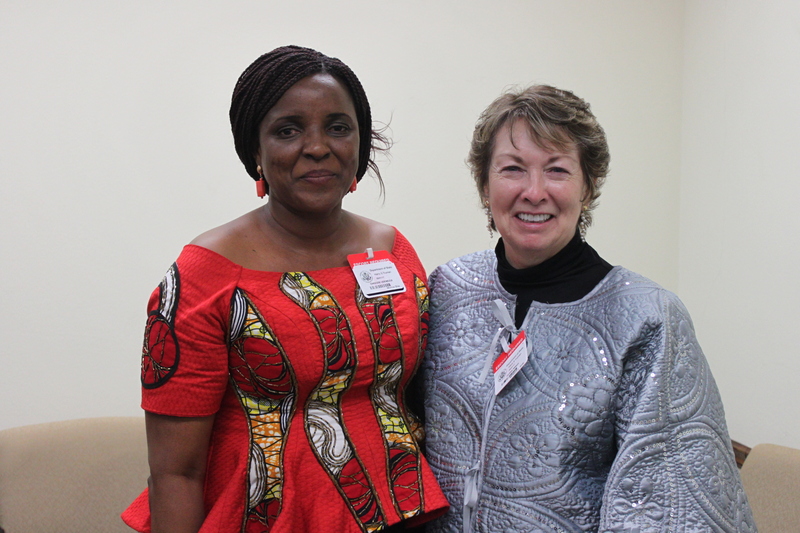 After the conclusion of these appointments, Gozie returned to Nigeria to continue to build progress with Healing Hearts Widows Support Foundation.